When Captain Traven’s huge warhorse is somehow stolen by a boy too young to grow facial hair, Traven hardly thinks about the danger before rushing after him. Little does he know that by doing so, he will become a vital member of the most important and perilous quest of his generation. Between the royal guards arresting him for treason, a beautiful women appearing in his dreams to ask for favors, mind control, and dragons, Traven doesn’t know what to think. He only knows that the answer to the mysteries surrounding him are held at White Dragon Tower, a place of such power that no one had stepped foot in it for a decade. As the stakes grow higher for the kingdom, Traven can only pray that he is doing the right thing by following the lead of a seductive damsel-in-distress who is not exactly what she seems. 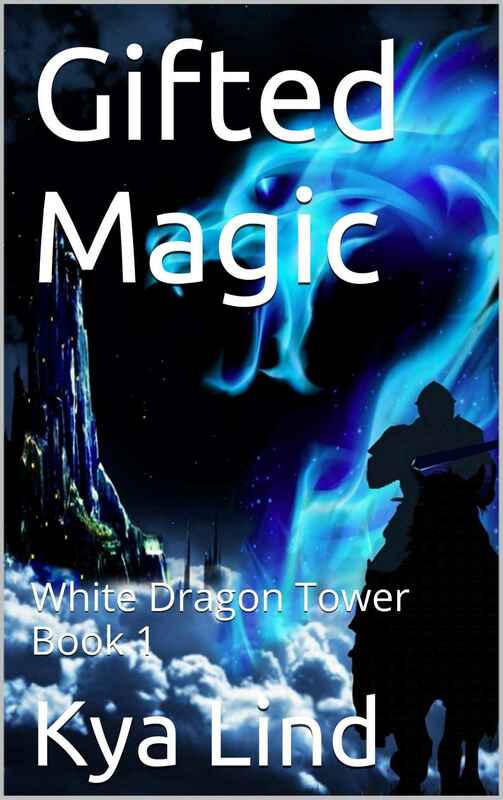 This first novel of the White Dragon Tower Series is a young adult paranormal romance filled with Dragons, danger, magic, and knightly quest. In this action- packed adventure, Captain Traven may not be looking for love and romance, but he can’t say no to Reya, his beautiful mysterious DreamLady. You will truly enjoy this humorous and delightful quest into the perilous Shadow Mountains to save the kingdom from the civil war that maybe a result if the villains are not stopped. This is a full length novel set in the fantasy medieval world of Chambre where magic, mind control and dragons really do exist. The characters are full bodied and even the horse has an endearing personality.